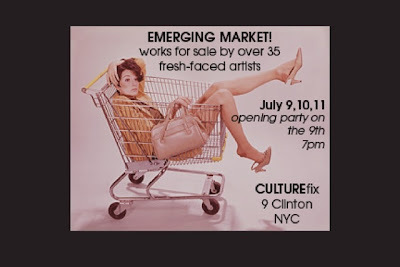 BLOG @ smFriedman.com: An Art Show! Very excited to tell you that I will be participating in another group art show being curated by Lia Woertendyke, who got me my first show not too long ago down at the South Street Seaport. Whether you made it to the last show or not, hope all you New Yorkers can come to this one! I will be showing/selling three long-exposure night photographs (16x24) and two abstract photographs (24x36). The show is at 9 Clinton St. It will open Friday July 9th at 7pm and last until Sunday July 11th at 10pm., opening on both Saturday and Sunday at noon. There will be varying talks, performances, and events within the market. Should be an all-around good time!